Summary: Red Dead Redemption 2 creates one of the most engaging open-world experiences to date and more importantly, you do it wearing a cowboy's hat! 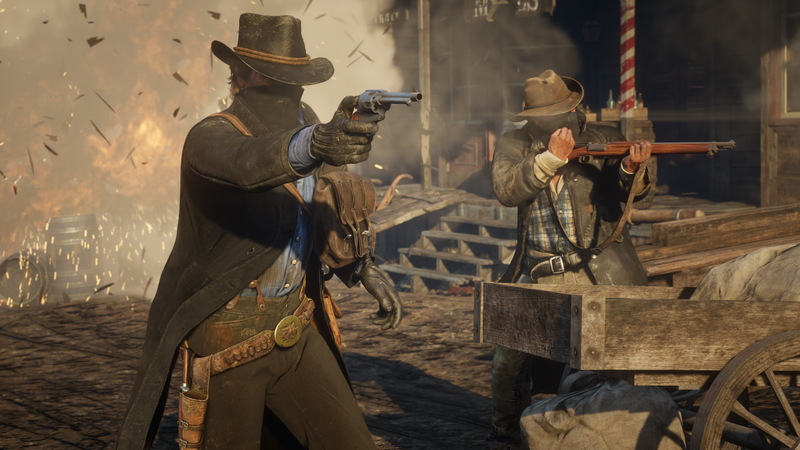 One of the most highly anticipated games of 2018 has finally arrived on the XBox One/X (Reviewed) and the PlayStation 4/Pro with RED DEAD REDEMPTION II which puts you in the shoes of protagonist Arthur Morgan who is part of Dutch Van der Linde’s gang of outlaws. Although Arthur is one of the senior members of this gang and without spoiling too much of the story, there is conflict between the two. 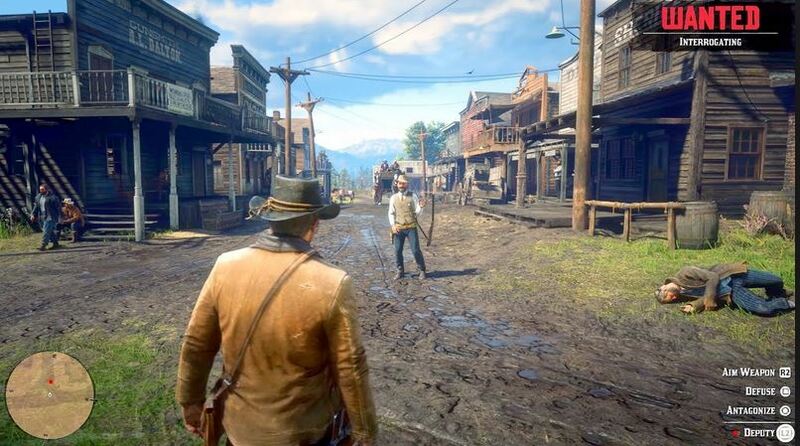 As a start, Red Dead Redemption II is set in 1899 that is the end of the wild west era and those few outlaws who still remain do not fit with contemporary society anymore as they either need to succumb or be hunted down. 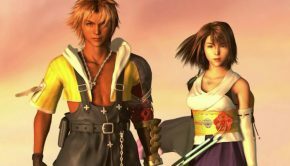 Oh… if you’re a fan of the previous game, the sequel is superior in every single-way and if you’re a newcomer, you don’t need any previous knowledge of the original as this is a prequel. The first stage of the game throws you in a wild snow blizzard that graphically looks amazing and due to a robbery going bad in the town of Blackwater, the Van der Linde gang have fled with casualties as they search for a safe haven from the storm and also find a new place to temporary call home. 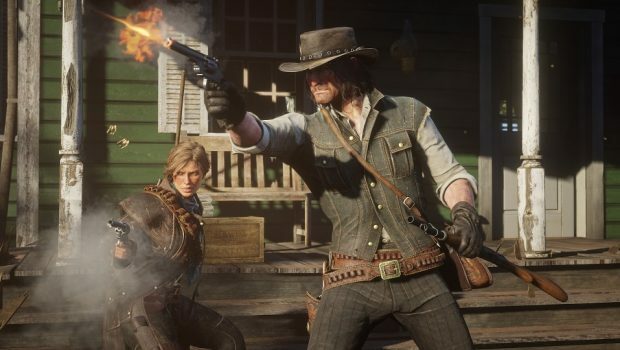 To make matters worse, Dutch has an ongoing feud with the O’Driskals gang led by Colm which at times clouds his judgement and does add to the rift between he and Arthur Morgan as our protagonist is torn by his own values with the gang that raised him. 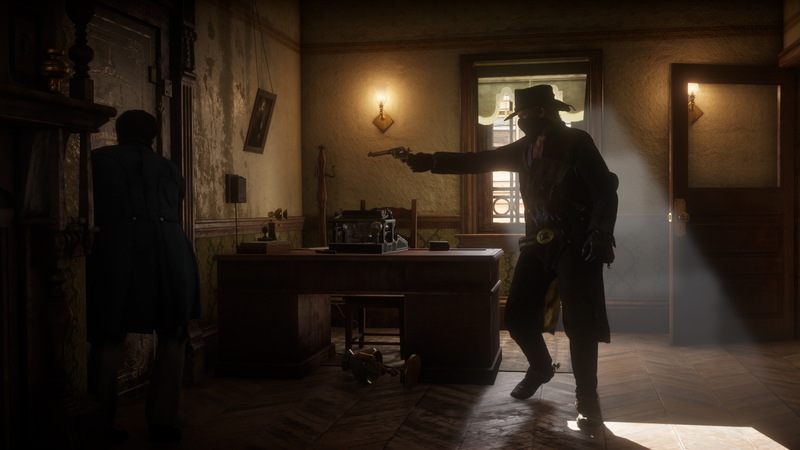 Although Red Dead Redemption II is a third-person action adventure with ‘light’ RPG mechanics, it can be played in a first-person perspective. However I preferred the third-person view that did feel more responsive, especially when controlling Arthur or one of his horses. Speaking of horses, you actually get quite emotionally attached to them and the more you ride with them, the stronger the bond will be between your character and them. So if they die (courtesy of my crazy riding), I actually felt sad for losing them but fortunately I was able to steal another without getting caught by the authorities. Given that, horses are like pets and need to be looked after such as grooming and feeding. 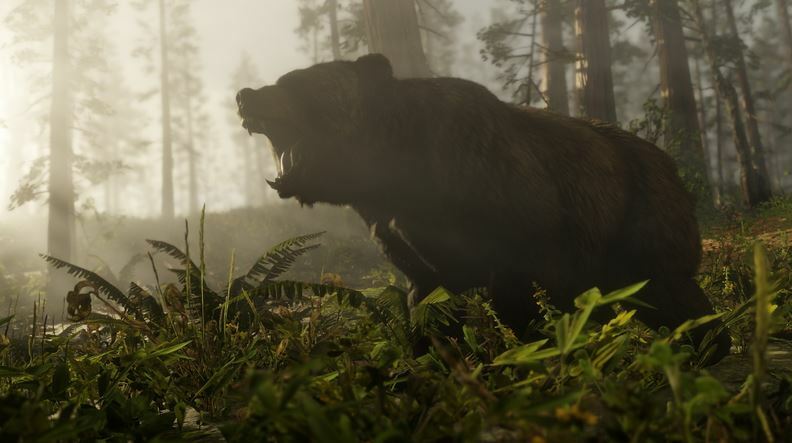 Initially Red Dead Redemption 2 does guide the player, but once you have established your new base outside the town of Valentine, this is where the open-world factor comes into play as the game offers you endless possibilities as you explore the giant in-game area. 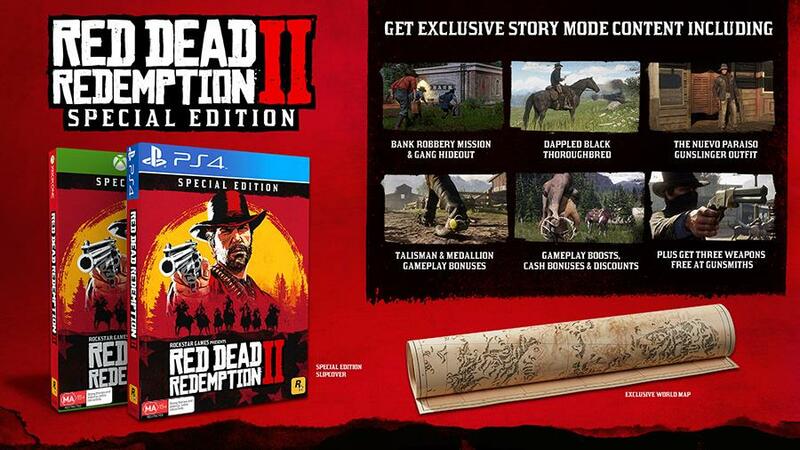 Although the main story does revolve around the Van der Linde gang, including the mishap at Blackwater, as you explore you the world of Red Dead Redemptioni, you will meet other people who request your help, whether this is saving a lone-woman whose horse has fallen on her or helping a writer get photos of outlaws, the scope of what you can do in this game is quite unparalleled, including crazy cults and romance for Arthur. 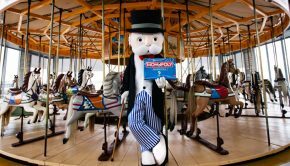 So if you need a break, you can literally ride or walk anywhere looking for fortune and glory. 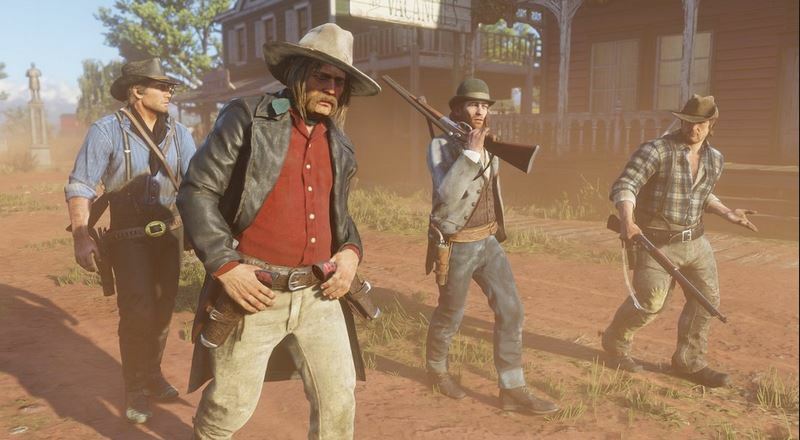 As a member of the Van der Linde gang, you not only help Dutch but also the members of the gang such as going bear hunting or retrieving debts for the German outlaw in your group. Another interesting aspect is ensuring that your base is well stocked with supplies and cash or you can have fun changing outfits or engaging in a bout of crafting to make fire arrows or snake oil which helps with your dead eye skill that slows the game down (e.g. Bullet Time) as you engage tasks such as hunting or fine-tuning your shooting. So while the missions, both the main quests and side quests are totally enjoyable, even though they have an element of fetch retrieval at times (however the train heist is pretty damn cool), it’s the unknowns of Red Dead Redemption 2 that works so damn well because the developers should be commended on adding the unexpected into this game, including one of the funniest drunk scenes in a video game ever… it had me in hysterics. Furthermore, Rockstar Games even ups the ante of realism incorporated into this title where you need to ensure that your character eats and is groomed that includes washing off the dirt and blood or shaving because when you interact with others, they may be put off from your appearance. Apart from looking after yourself and as mentioned, you need to care for your horse and you can have up to three horses in the game which can be stabled all across the American wilderness. 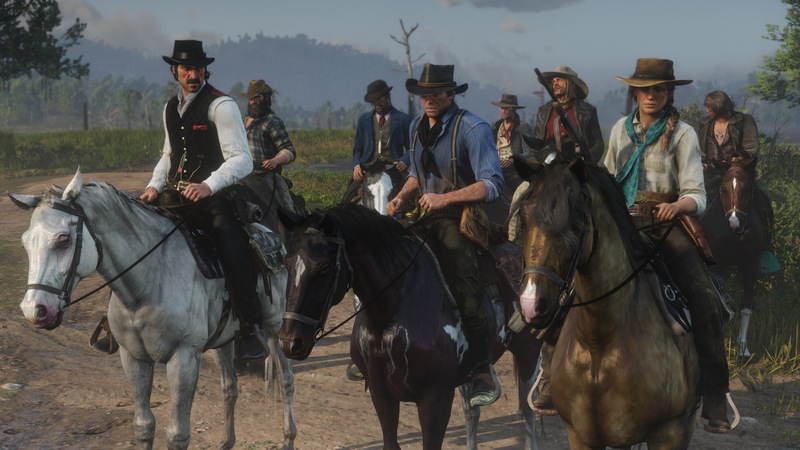 Like cars in races, the various horses in this game all have their own pros and cons and if you have enough cash, you can purchase some impressive steeds… or you can just steal them. 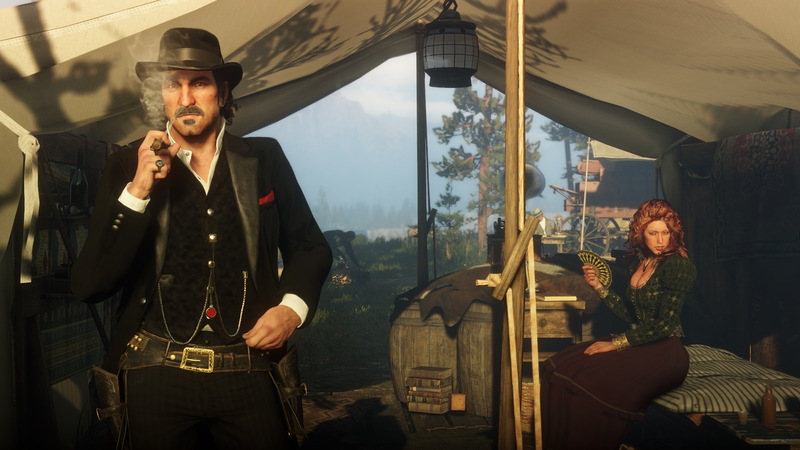 Clothing is another part of the game and if you’re wearing winter clothing in summer, this will affect Arthur so that is another element that you need to be aware of. 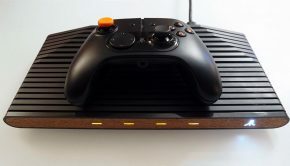 Adding to your Wild West outlaw experience, the controls on the Xbox One X controller are perfectly mapped, although I did get my left and right triggers mixed up on occasion when I was meant to chat to a stranger but I ended up grabbing them from behind which didn’t end well for my victim. 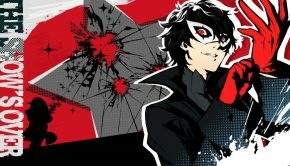 Speaking of victims, there are plenty of crimes to commit in this world, however the developers do give you some leeway in how you will solve the problem, whether through threats, acts of physical violence or a good old fashioned gun fight. When you do go foul of the law, there are sometimes witnesses who may report you to the local sheriff and if you become a wanted man, you need to escape the area from the authorities and evade their search but watch out for bounty hunters. The combat works well in the game and such as brawling with someone in a Saloon or going head to head against one of your rival gangs, the developers ensure that you have everything you need for battles from all sorts of weapons available the player. Given that, weapons need to repaired to ensure they continue working and you can even upgrade them. 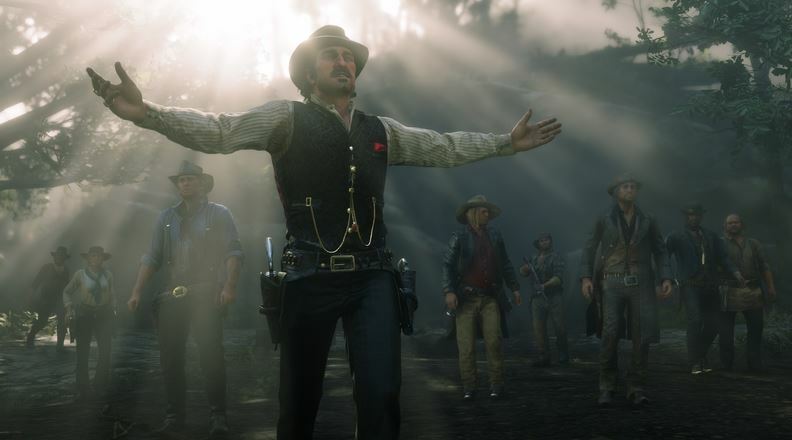 Another highlight of this game is the character development aspect because it’s great seeing Arthur and his leader Dutch grow as characters. Adding to this are the choices your character can make, like how you interact with a stranger or how do you complete a mission, the decision is almost up to you. Furthermore, I like how this game is true open-world and not a re-badged Dragon’s Lair that creates the illusion of choice with spectacular graphics or quick-time events. 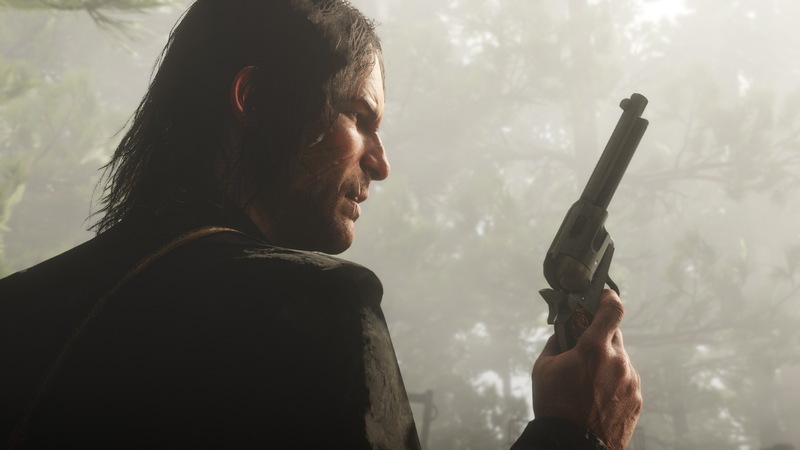 Then you have the links of the Red Dead Redemption II world, including that to the original game with John Marston, his wife and their son Jack… really great story telling, especially as this game is a prequel and set 12-years before the original. All in all, 99.9% perfect gameplay but I wish I could save mid-mission. Graphically, Red Dead Redemption 2 is a true visual treat on the Xbox One X that looks amazing… no spectacular on this console, particularly in 4K. More importantly the gaming world has been meticulously created from the ground up and is a living breathing entity. Everything from the dirt that your character walks on to the diverse animal life to the dangerous mountains and beautiful plant life, even all the way up to the sky is just perfect. At times you could be forgiving in thinking that you are watching a live action Hollywood Wild West blockbuster because the graphics are literally that good. 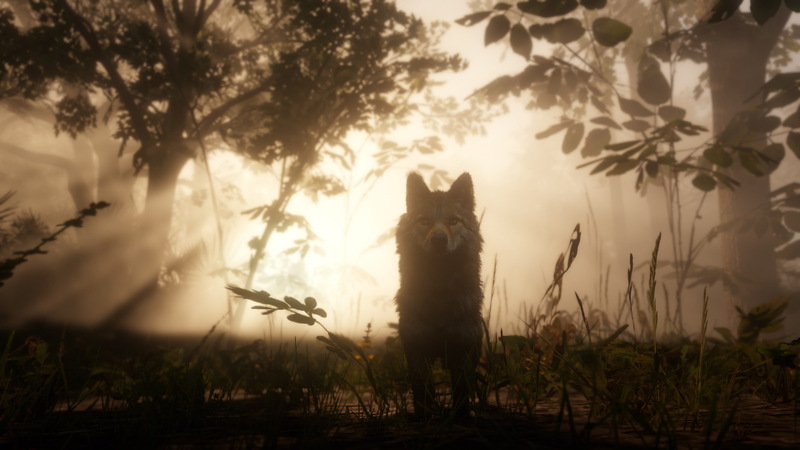 Given the power of the Rockstar Advanced Game Engine (RAGE) which powers this title, all cinemas and cinematography is done through this engine that as a result gives the player a movie-like experience at times. Characters models are as equally detailed as is the world they populate, although there are a few virtual characters in this game who do look a little Spartan in terms of their appearance but for the most part, everyone looks fantastic and they move with this real-world grace. Complementing the graphics and the gameplay is the excellent audio aspect of this title. Firstly, the Western inspired sound track courtesy of Woody Jackson suits the game well and gives it great atmosphere and emotion. 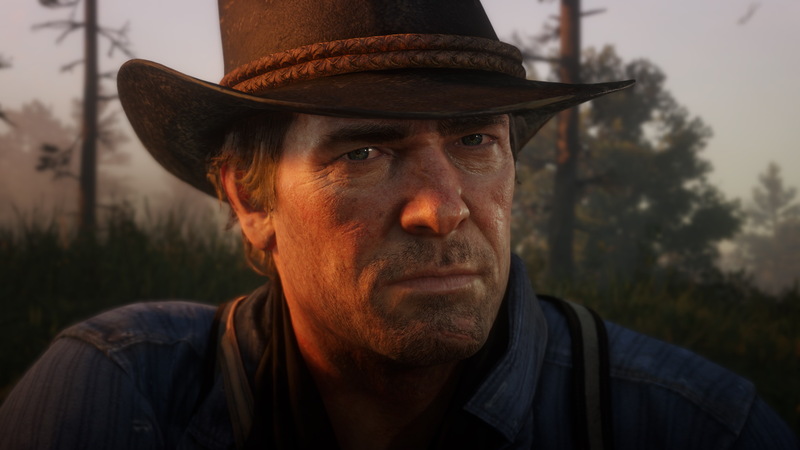 Then you have the professional voice acting that is led by Roger Clark who plays Arthur Morgan and he really captures this man torn by loyalties and wanting to live his own life. 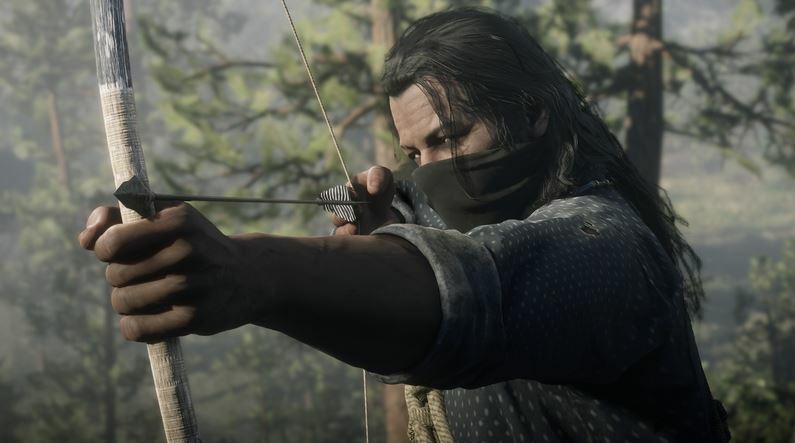 On the flip side is Benjamin Byron Davis as Dutch Van der Linde, the outlaw who uses smoke and mirrors in justifying his methods, not to mention the secrets he holds that threaten the very gang itself. Fans will also be pleased that Rob Wiethoff returns to voice John Marston from the original game. Add in all the background ambience of this interactive world plus the sounds of battle and Red Dead Redemption 2 is an awesome looking and sound game on the Xbox One X… and again, it plays spectacularly on this console! 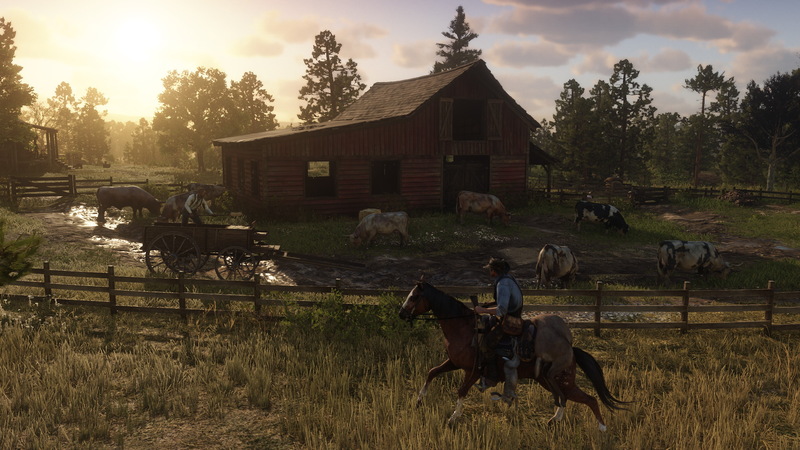 Wow… Red Dead Redemption 2 lives up to everything and more with what Rockstar Games have promised. 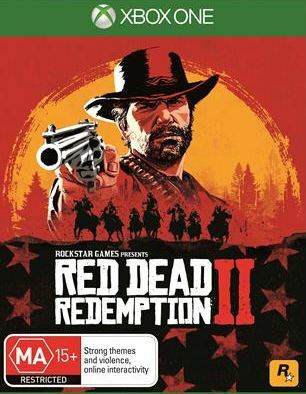 More importantly, the gameplay is enjoyable and accessible, the story engaging and the characters are interesting, however what Rockstar Games have achieved is creating a truly interactive, immersive and massive open-world game that feels solid and you can almost imagine that you are part of this world. Although the original Red Dead Redemption was one of my favourite games, the sequel trumps it and is a worthy successor. So what are you waiting for partner, go out and grab this game now to see what you’re missing because this review barely scraped the surface!